Starting a business offering DIY services can be a profitable venture. Nowadays, with most parents in full-time work and young professionals putting in extra hours at the office, many people no longer have the time to complete simple DIY tasks around the home. Plus, when the weekend rolls around, the majority of people would rather spend their time relaxing or having fun with friends and family, which means that jobs like putting up shelves, cutting the grass, or finally painting the spare room, tend to take a backseat. To get you started on your DIY business, here are the essential tools you will need for metalwork. When working with metal, a welder is an essential piece of kit. You can buy welders with a range of electrical voltages, from lower 110 to 220 voltage units. 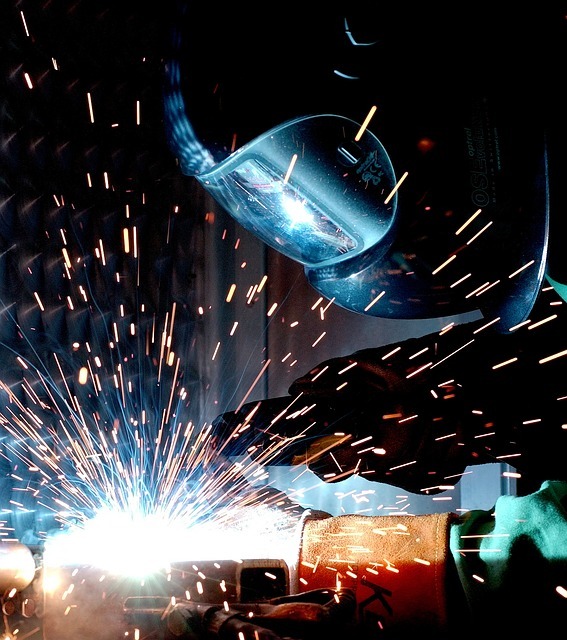 As you will be selecting a welder for business use, it is advisable to choose a higher voltage machine, as this will offer more power and be able to operate for longer periods before needing to switch off to cool. While you can use a handsaw to cut metal, this can be inefficient and time consuming. To make smoother, more accurate and quicker cuts, invest in a bandsaw. If you have a workshop space, whether your home garage or a purpose-built industrial unit, purchase a full-size or table-top bandsaw. Or, if you need to cut on the go, invest in a portable bandsaw that you can take to each job. An electric hand drill can perform most of the functions you need when starting out, but if you can, consider upgrading to a drill press. A drill press will provide more precision, ensuring all holes drilled are straight, enabling you to complete your work to a higher and more professional standard. A die grinder is a handheld power tool that can perform a variety of functions, including polishing, sanding and grinding. A die grinder can be used when sculpting, shaping, engraving and welding, making it a great multi-purpose tool that you will use job after job. As a metal worker, you will be using a lot of different equipment, including drill bits and chisels. Unfortunately, after months of use, you may find that your tools start to become blunt and do not perform as they did when new. You may think you need to buy new equipment but instead, consider investing in a sharpening machine to refresh your tools. When starting a metalwork business, there are many different tools from which you can choose. In addition to the above, it may also be a good idea to invest in a press brake (for shaping sheet metal) and a metal nibble (for cutting intricate shapes). To get started, create a business plan and invest in power tools through SGS. Good luck!